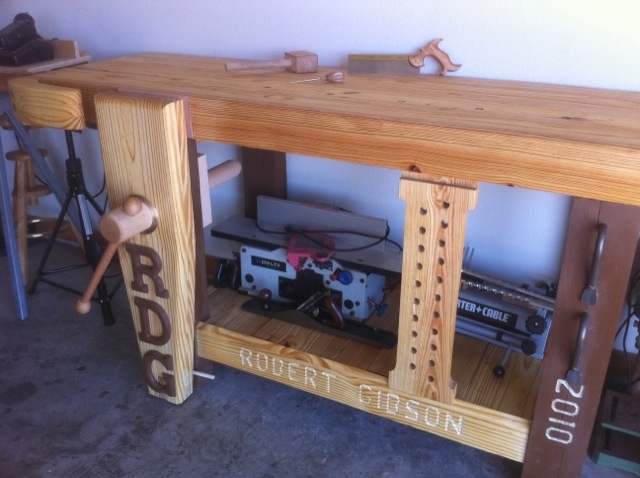 Adding our February 2011 Workbench of the Month from Robert G. of Miles, Texas to our Lake Erie Toolworks Blog for ease of access and historical awareness. 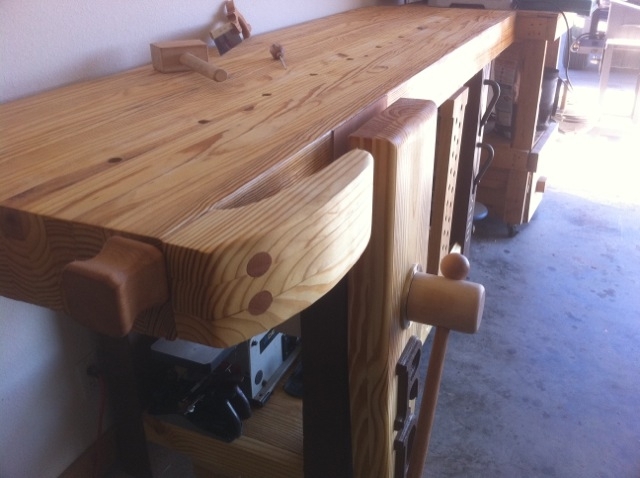 Attached are some photos of my Roubo that I have recently completed 12/01/2010. This thing is a beast. Weighs close to 360 pounds, 90 inches long, 28 inches wide, and the top is 5.25 inches thick. Made it out of SYP. The only metal used is the garter that comes with the vise screw from your shop, all the rest is wood and glue. My compliments on the quality of the vise screw you produce, it is top notch, and adds that old world character that I was wanting. The finish is boiled linseed oil hand rubbed in. 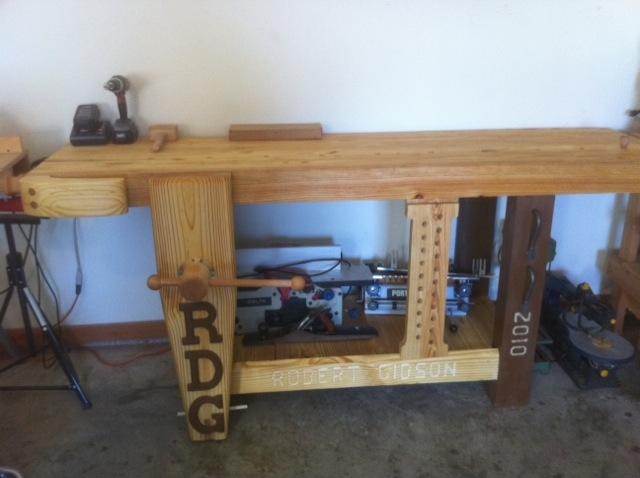 I like to look at other people’s versions of workbenches, and your workbench of the month is a great way to see what others are doing. Keep up the good work.